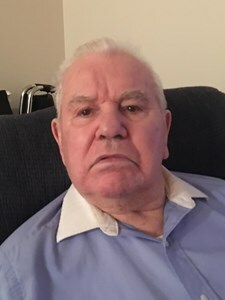 Newcomer Family Obituaries - Gordon L. Tomko 1929 - 2019 - Newcomer Cremations, Funerals & Receptions. Gordon L. Tomko, 89, of Brimfield, passed away on January 26, 2019. He was born on June 7, 1929 in Macedonia, Ohio to the late Michael and Anna Tomko. Gordon spent his career as a railroad car repairman, working for Erie, Erie-Lackawanna, and Conrail. He was a longtime member of the Knights of Columbus. Gordon was also preceded in death by his wife, Marjorie; infant son, Timothy Tomko; and six brothers. He will be dearly missed by his children, Louise Jones (Carroll Isburg), James (Suzanne) Tomko, Richard Tomko, and Gordon J. Tomko; brother, Fred Tomko; ten grandchildren and nine great-grandchildren. Visitation will be held on Friday, February 1, 2019 from 10-11 followed by an 11 a.m. Funeral Mass at Holy Family Catholic Church, 3179 Kent Rd. in Stow. Private interment at Standing Rock Cemetery. Add your memories to the guest book of Gordon Tomko. I'm so sorry for your loss of your wonderful "Angel" now in Heaven! God bless you and your family! Prayers for you All.